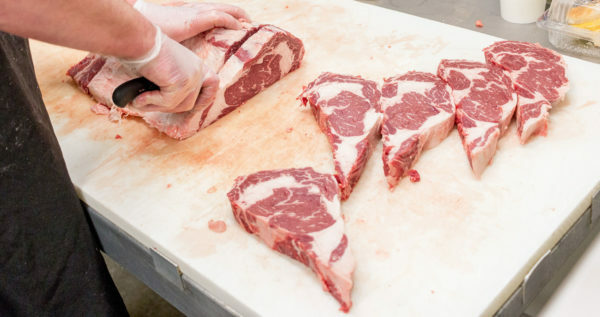 Woodburn Meats and Produce hand selects their products for the highest quality meats possible. Hand-trimmed USDA Choice beef, pork, and chicken complete any meal or cookout. And our tender, juicy, slow-smoked meats have a following all their own. Of course, we have all the best sides to go with them, many handmade. Grab your family and friends for the best barbeque ever with Woodburn Meats and Produce. Nothing ruins a cookout or grilling party like subpar meats. Woodburn Meats was started to fill an expanding gap in Fort Wayne. The quality of meats in the Fort Wayne area has declined and we wanted to ensure that everyone can find the premium products they have come to expect. Don’t see what you’re looking for? Call us. Premium pork cuts make your dinner or cookout better! From chops to roasts, to succulent pork steaks Woodburn Meats and Produce has the perfect cut of pork for your next meal or outdoor cookout. And don’t forget to check out our famous thick-cut, smoked bacon and homemade ribs! 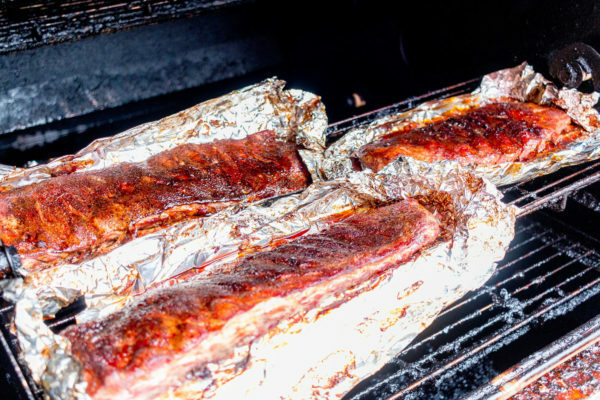 We fire up our smoker throughout the week to create our famous ribs (every Saturday) and thick-cut, smoked bacon! Our fresh chicken selection is sure to please any shopper. From whole chickens to hand-trimmed chicken breasts and chicken wings we have what you need! Woodburn Meats and Produce also has a selection of exotic and hard to find meats. 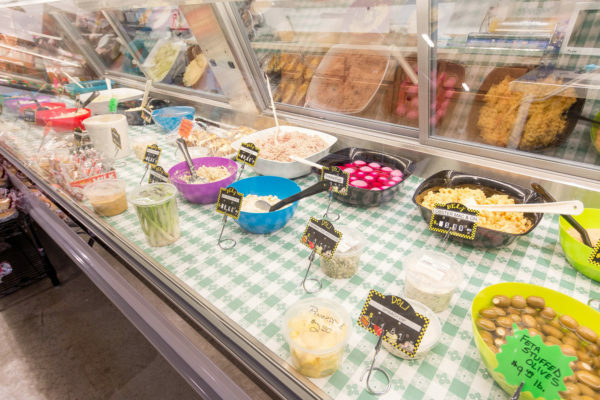 Our deli selection features many homemade selections that the regular store-bought variety just can’t compare too. We have a large selection of salads, sides and desserts to choose from. Need a large amount for an upcoming event? Call ahead and we’ll have it ready for you – (260) 632-1110. Looking for a great lunch? Come on in and order a fresh made sandwich that is made the way a sandwich should be made. Big, generous, and to your specs. Choose a homemade side to go with it and you’ve got an amazing lunch. Seriously, these aren’t you average chain-store sandwiches. This is something you’ll tell all of your friends about! 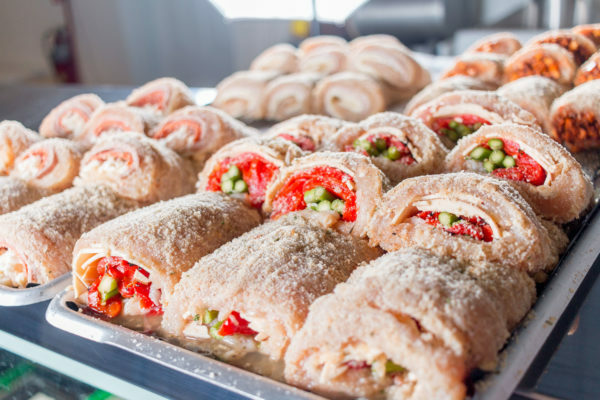 Send your taste buds into overload with our amazing Amish-made pies. Our pies are made locally from the freshest ingredients for the best taste. These pies are amazing! Always fresh and always delicious. 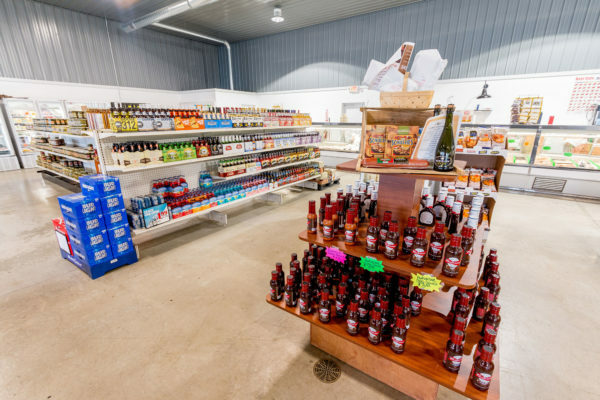 While you’re in getting your premium, hand-cut steaks for your next BBQ be sure to check out or large selection of local and international wines. We carry Two Ees, Country Heritage, and Brown County Winery wines. We also carry a large selection of craft beers.